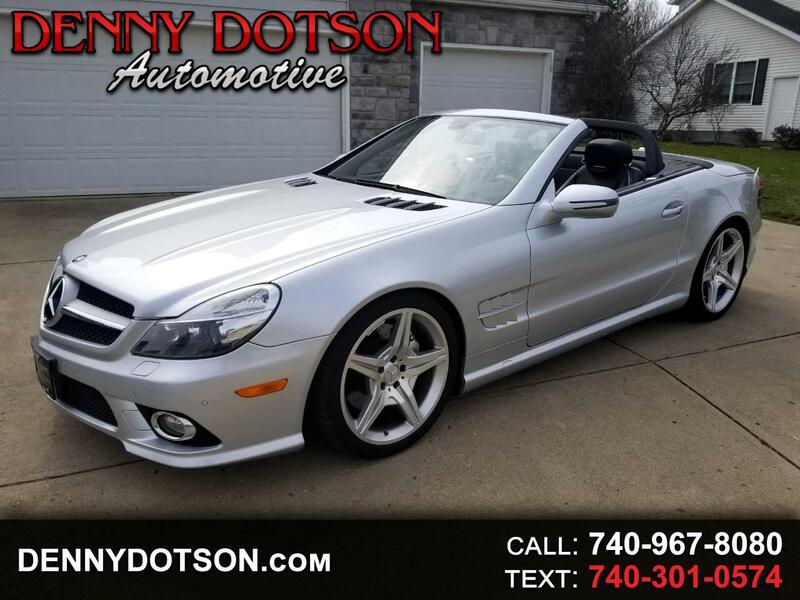 Used 2009 Mercedes-Benz SL-Class 2dr Roadster 5.5L V8 for Sale in Johnstown OH 43031 Denny Dotson Automotive Inc.
Includes in-dash SD memory card reader, COMAND system with 40GB hard-drive GPS navigation, 4GB hard drive with Music Register for download of MP3 files, 10-speaker harman/kardon LOGIC7 surround sound system with Dolby Digital 5.1, enhanced voice control for audio, telephone and navigation, Bluetooth interface for hands-free calling and iPod/MP3 media interface (in center armrest), SIRIUS Satellite Radio, and Parktronic Parking Assist. Two owner history with no accidents. Message: Thought you might be interested in this 2009 Mercedes-Benz SL-Class.